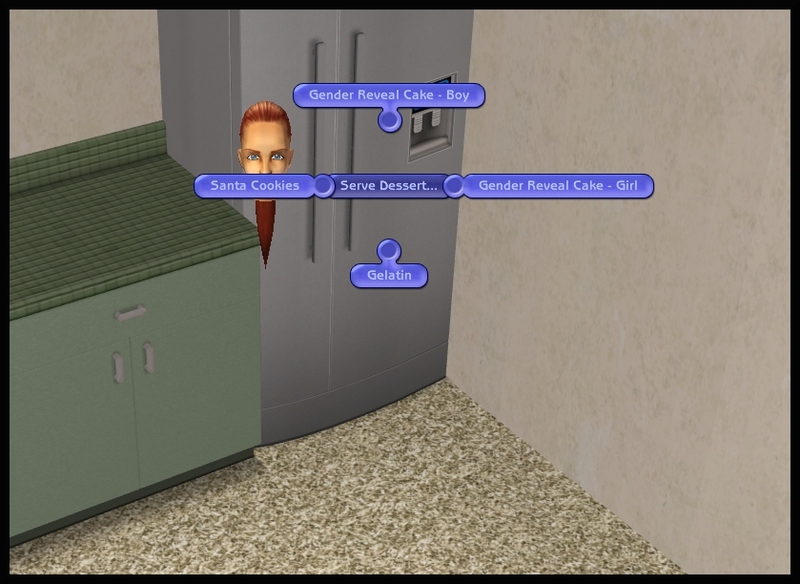 Disclaimer: Cake will not tell you the gender of the baby. You'll just have to use one of the methods below. Both are the same on the outside, only the insides are different. It's not a new mesh. It's basically just a recolor of the base game layer cake. 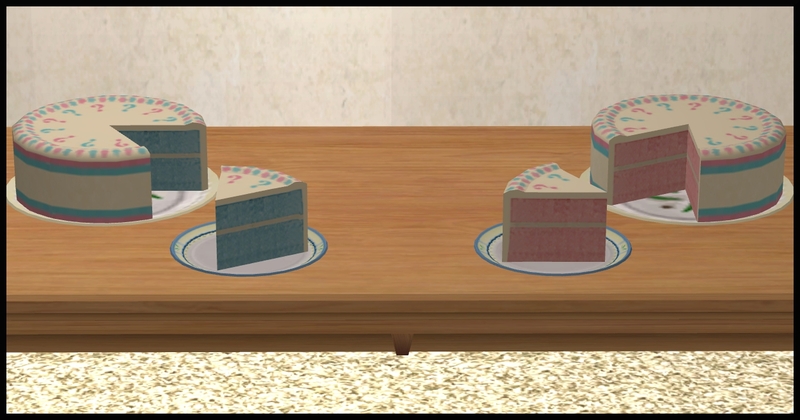 The only difference is that these cakes only require 1 cooking point. The ingredients are exactly the same, as it's still a cake, I figured they didn't need changing. The mixing bowl/pan batters do have appropriate colors though. Also, I've always felt that the burned/failed version was stupid, because if you burn a cake, the icing wouldn't be burned...that's just silly. 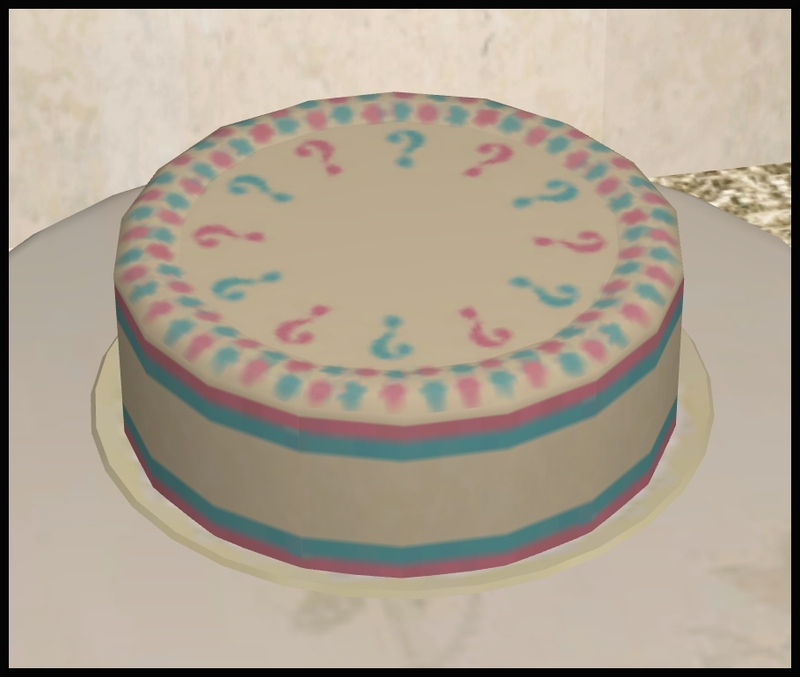 So these cakes instead have a really shoddy icing job to show when they have "failed"
I hope your simmies enjoy the cake and that some of you get some use out of it! 64 people have said thanks to justJones for this download.